‘For better or worse, Whitman’s A Guidebook of United States Coins is still the gold standard in printed price guides, even Eisenhower Dollars. 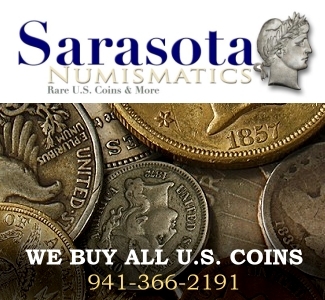 That does not mean its pricing scheme is the best or the most accurate, but more than any other publication, beginner and intermediate coin collectors (and a great majority of coin dealers) rely on the Red Book to establish a retail price reference point. I have followed Red Book pricing quite closely in the course of researching a book that I’m writing on registry set collecting, and one thing that I’ve noticed is that Whitman’s annual guide has done a good job over the years reflecting changes in the grading culture and the coin market. When the Sheldon scale was repurposed to serve as a pan-series grading format, Whitman reconfigured their publication to make use of the new system. And while Whitman’s Red Book painted with too broad a brush in the early years of this “new” system (a survey of classic commemoratives in the late ‘70s and ‘80s, for instance, featured listings in AU and MS-65 with nothing in between), it did evolve to better serve a hobby that was in a state of flux and undergoing major turbulence. I bring up Whitman’s A Guidebook to United States Coins in this, my inaugural column for CoinWeek, because I cannot wrap my mind around the fact that Whitman and its staff of contributors are so tone deaf when it comes to Eisenhower Dollars and other clad coinage from 1965 to the mid-1980s. 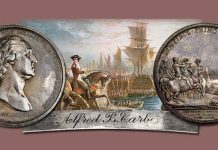 Across the entire spectrum of circulating coinage minted in the clad era, with the exception of commemoratives, novelty quarters, and Presidential dollars, the coverage has been slim and market-limiting. 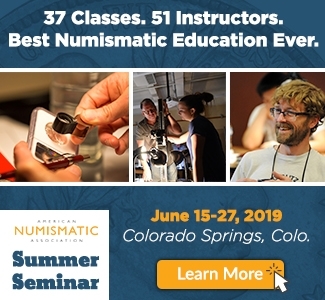 It is as if the old guard, spoiled by living through the 1950s, the period of the greatest numismatic extraction in U.S. history, assumes that all uncirculated moderns are created equal and that there is little to no value in hunting and collecting better grade examples. Any reader can see this in strong relief when they compare the Red Book’s coverage of Kennedy Half Dollars with Whitman’s own specialty volume, A Guide Book of Franklin & Kennedy Half Dollars by Rick Tomaska. Comparing the price grids in these two volumes, you’ll swear that you’ve arrived on another planet. It’s time for us to pull back the curtain on this practice and understand what is at stake for the coin hobby if we don’t. For the remainder of this article, I present a short case study on the Eisenhower Dollar series. I’ll define its place in history and numismatic legacy, and how the Red Book is ignoring the obvious trading that occurs in this series in Gem state. 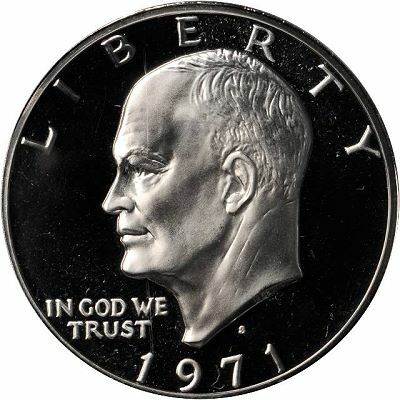 The circulating Eisenhower Dollar is a Cu-Ni clad coin. 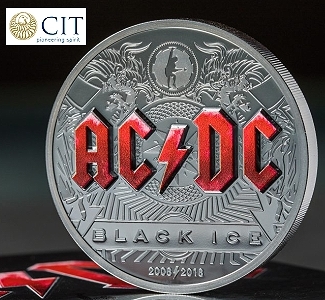 It is the largest clad coin ever attempted by the U.S. Mint, made in an effort to reaffirm its ability to produce quality, spendable, consumer-accepted coins. In the immediate aftermath of the debasement of circulating coinage, the Mint was charged with producing billions upon billions of clad coins to replace the intrinsically more valuable silver coins fast disappearing from the economy. During this transition period, Congress and the Mint made a critical error in their handling of the Half Dollar, which had seen regular use until 1964 when speculators began to hoard the new Kennedy Half. While quarters and dimes were to be made from 1965 onward in a Cu-Ni clad composition, the Mint decided to reduce the silver content of the Half Dollar to 40%. This led to continued hoarding of the Half to the point that, by 1970, the Mint produced only four coins that saw regular use in commerce: the cent, nickel, dime and quarter. To understand the Eisenhower Dollar, you must understand the culture and morale at the Mint. If it was to survive another 200 years, the Mint would have to remain relevant – and it could not do this by producing only four usable coins. If the Eisenhower Dollar failed, and failed spectacularly, then there was no telling what the future would hold for the Mint and its workers. This was the pressure that the U.S. Mint’s chief engraver, Frank Gasparro, was under when the first galvanos began to spin in the lathe. The Mint’s PR machine sprang into action. Books were writen glorifying the coin and projecting a grand success even before the ill-suited Columbia coin presses went to work. What happened over the next seven years will be studied for the next hundred; the life of the Ike was every bit as turbulent and curious as the era of the Morgan and Peace Dollars before it. 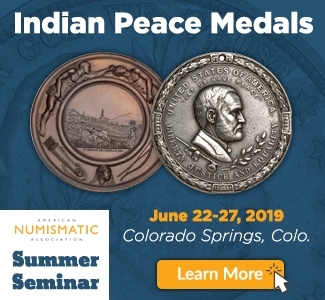 If the Eisenhower Dollar was a silver coin, there’s no doubt that the numismatic industry would have invested the time and resources to truly exploit its many nuances, design varieties, and errors. If the market makers truly paid attention to the series, then they would know just how important the coin is and how necessary it is to preserve its legacy. The mint produced more than 640 million Ikes during the coin’s short production run of 1971-1978. 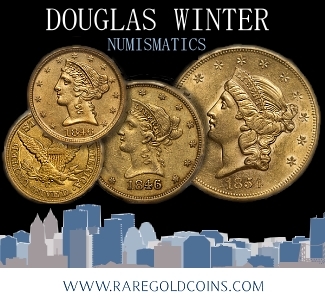 While many, if not most, circulated to some degree, modern circulated coins are not that collectible and probably never will be. 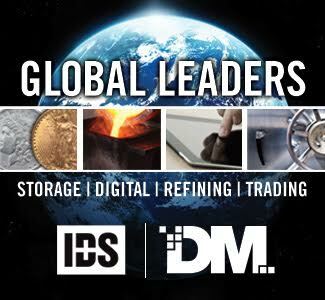 The same can be said for large stockpiles in dealer’s inventories of low MS grade Ikes, the majority of which would grade out at MS-63 or MS-64 if submitted to PCGS or NGC. 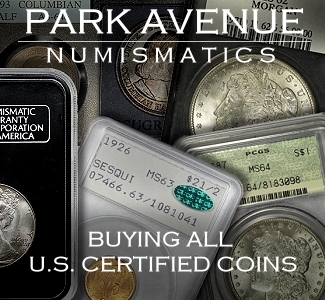 Unlike the Ike’s silver forebears, there is no real way (outside of spending the coin) that dealers can cull the ranks of the undesirable and uncollectible coins. So these coins sit and sell at whatever premium over face value a dealer can get for them. Coins of gem quality, however, are scarce. Many of the uncirculated sets have been poured over by specialists. For the 1973 mint set Ikes, which saw a mintage of only two million coins, it is possible that the top grade coins have already been found and holdered, and the window of opportunity for finding new MS-65 and MS-66 coins narrows on a daily basis. The same can be said for the 1976 Type 1 Bicentennial Ike, which is available only in 1975 mint sets. 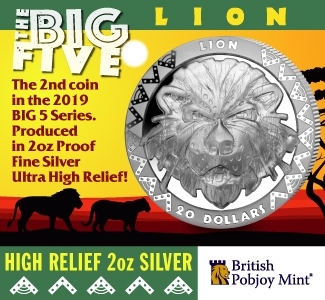 This coin has a mintage of just over four million coins, and the likelihood of pulling a MS-66 worthy coin out of a white government envelope is so remote that even top tier registry set collectors settle for the best looking MS-65’s they can find. Collectors who use the Red Book as their point of reference would never know this. 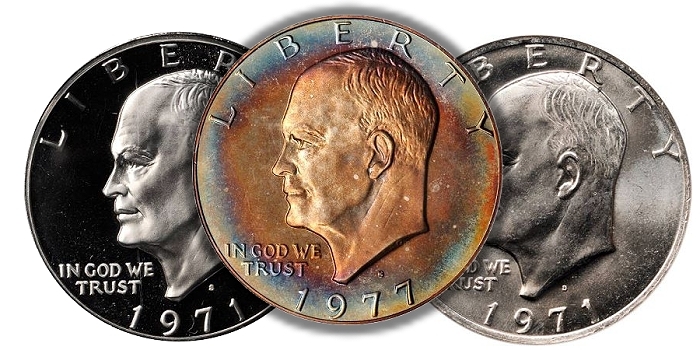 Instead of focusing its attention where the action is in the Eisenhower Dollar series by listing (at a minimum) the prices for Eisenhower Dollars at the traditionally accepted MS-65 tier, they list prices at EX-40 and MS-63. This is perplexing. For starters, no other modern series, dating back to the late 1940s, is listed in the book with a top grade below MS-65. The Red Book editors list MS-65 pricing for Morgans and MS-66 pricing for Peace Dollars. Furthermore, the Red Book does not tabulate pricing for circulated examples of Lincoln cents in the Memorial cent era (starting in 1959), Jefferson nickels after 1948, Roosevelt dimes after 1965, or Kennedy half dollars through the series’ entire run. When it comes to the Washington quarter, the Red Book lists the heraldic eagle reverse Washington quarters in the clad era at MS-63 and MS-65, and then quizzically tracks the State Quarters at AU-50. By listing the Ike at EX-40 and MS-63, they are tracking a market in lightly circulated EX-40 Ikes that does not exist and ignoring the major collectible grades: MS-65 and MS-66. I bet before you started reading this article that you never considered the editorial nature of price guides. They are guides after all – and as guides they are trying to relay to the reader a set of ground rules. They do not merely report values; they decide which values to report. In this sense, volumes like these are not objective tables of facts, but subjective editorials. This is not to say that the system is by its nature corrupt, or that guides like the Red Book should not be trusted. To the contrary, without publically accepted guidebooks there is no market. For many series, thorough and accurate coverage in The Red Book helps serve the business interests of dealers and market makers, many of whom are Red Book contributors. Maybe it’s the case with modern series like the Eisenhower Dollar that the editors of The Red Book have failed to reach out and collect the appropriate data. If this is the case, then I am happy to bring the matter to their attention. When entire series are under-researched and poorly represented, the hobby suffers. When you consider that this has been going on for almost the entirety of the clad era, the implications are more than troubling. I stand in defense of Eisenhower Dollars because of their endless complexity. It stands today as the greatest achievement in clad coinage in U.S. history. 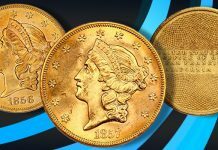 It was the most technically challenging coin ever attempted (sorry, Saint Gaudens; your 1907 Double Eagle was spectacular, but try to churn out eighty million Eisenhower Dollars on Army surplus presses) leading to a number of modifications and revisions, some of which are only now being identified by experts – and it is a series like this that calls into question how much experts really know about modern coinage. 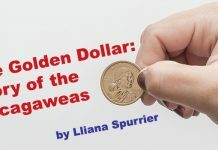 Researching the Eisenhower Dollar is vital for numismatic historians who want to understand what the post-silver era was like. The Eisenhower Dollar was a noble failure. 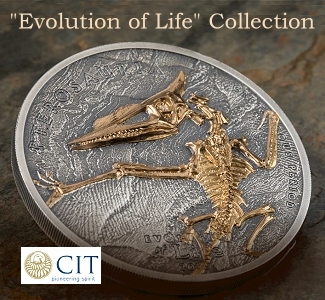 In this respect, it truly is a perfect collectible coin. I reject the false dichotomy that the coin hobby has adopted regarding classics and moderns. There are true rarities on both sides and more than enough room to study, collect, and understand both. 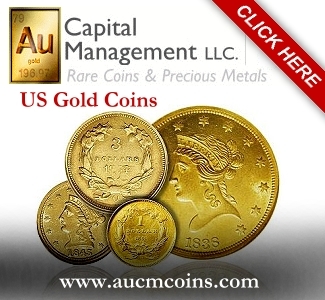 Every classic coin was modern the day it was made, and for several issues, the mintages seemed enormous for the population and the type of economy the coins were minted into (For example, more 1857 Flying Eagle cents were minted than all of the large cents minted in the prior seven or eight years). Likewise, the time will come, and sooner than you think, when future generations look back at the dawn of the clad era and wonder why gem and gem+ coins from this period aren’t readily available. And when that day comes they will look at us, the supposed stewards of America’s numismatic heritage, and see how we failed them. 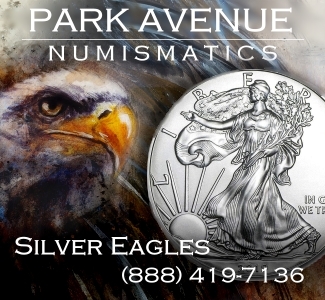 The 2013 Edition of A Guide Book of United States Coins arrives April 3. I hope to see the venerable guide fix the structural problems that are now so glaring. Whitman is promising expanded coverage and the latest research in this edition. You know which sections I’m turning to first. Tomaska, Rick.A Guide Book of Franklin and Kennedy Half Dollars. Whitman, 2010 (1st Edition). Yeoman, R. S., and Kenneth Bressett. A Guide Book of United States Coins. Whitman, 2012 (65th Edition). Values taken from 2012 Edition of A Guidebook of United States Coins. MS-63 is the only uncirculated grade listed. 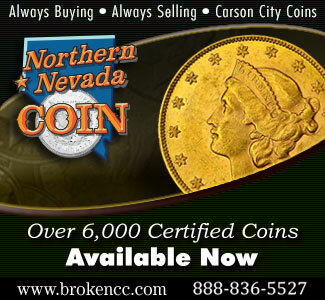 Vales taken 3/16/2012 from NGC’s online price list. 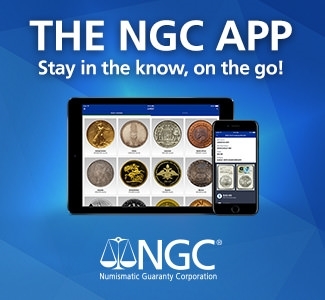 NGC and Numismedia share their price list. 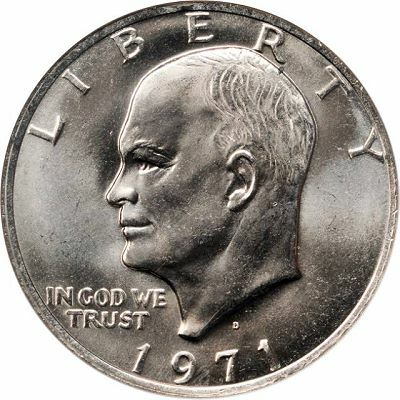 MS-65 is the standard MS grade used by Whitman for all modern series except Eisenhower Dollars and Susan B. Anthony Dollars. 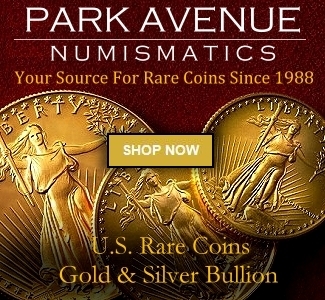 Vales taken 3/16/2012 from PCGS’s Coinfacts website. My understanding that the first PCGS certifited MS 70 Ike dollar was suppose to be in the recent Stacks-Bowers auction in Baltimore, but the coin was withdrawn. The MS-70 was withdrawn because PCGS confirmed that the grade on the label was printed in error. Those who know Eisenhower Dollars know that it is an impossibility that an MS-70 could be created. 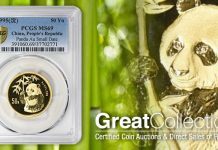 The auction’s print listing, curiously, mentioned the coin’s toning and many planchet striations. Thanks for this great insight on the Ike Dollars. I found this article very inspiring and useful. I truly hope that our hobby will give the Ike Dollar a better look and see the potentials. The Modern coinage (such as the Ike Dollar) will be the only affordable collectible series available to the new collector “IN THE FUTURE”. I hope (as you do) that the Market Makers (such as the “Red Book”), will understand this and promote the growth of our hobby by more realistic pricing in their guide. Am completing my collection of Eisenhower Dollars and have come across a 1975 Eisenhower Dollar that was produced on a Denver Press by Daniel Carr. The cost for this item is between $100.00 – $160.00. Would like to know if I should buy this item and include it with my other Ike Dollars. I am aware that it may not increase the value of my current collection and that it may be just a waste of money. Would like to know from your sources what your thoughts are on this. Thank you for your time. 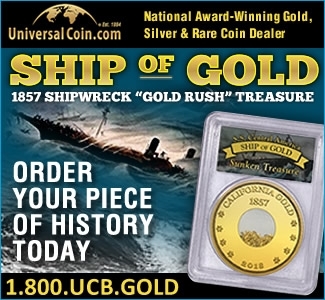 The Carr piece is a fantasy piece- as in- it’s not an official coin minted by the United States. There is a 1975 Eisenhower dollar if you want to get technical… it is the 1776-1976 Type 1 dollar. There are many visible cues to help you identify it, most notably the thicker inscriptions on the reverse. I have a 1973 Eisenhower dollar marked S on it. Was wondering what it would be worth now.. Have been reading mixed reviews on the value. I have several Eisenhower Dollar Coins. Some are in Proof Sets, and some are alone in a case. They are dated 1973,1975, and 1976. All are sealed in plastic and some in display cases. Could I get an “about” figure on how much $$ I should be looking to get for them? XXXXXXXX IS A SHYSTER FROM THE COIN FRAUD NETWORK AND HIS ATTEMPTS TO PUMP THE IKE ARE OBVIOUS AND WITHOUT MERIT. ANY COLLECTOR NEW OR OLD KNOWS FROM THE WORTHLESS MORGANS THAT THIS HYPE IS A SCAM. IF THE VALUE WENT UP ON THE IKE AND IT BECAME SCARCE IT WOULD ONLY BE A MATTER OF TIME UNTIL A STORY SURFACED ABOUT FORGOTTEN IKES QND QA BILLION NEW IKES WOULD BE DISCOVERED IN A HIDDEN ROOM AT THE BACK OF THE US MINT. THE MORGAN FRAUD AND THE ATTEMPTS TO DUPLICATE IT ARE KILLING THE SO CALLED HOBBY BY FRAUD AND OUTRAGEOUS OVER PRICING BY THE HOARDERS WHO WE IN THE STOCK TRADE CALL BAG HOLDERS. YOU HORDED THESE WORTHLESS COINS AND THEIR STILL WORTHLESS AND YOU WILL DO ANYTHING TO SELL THEM FOR A PROFIT SADLY EVERYONE KNOWS FROM NOVICE TO BAG HOLDER (EXPERT)IT’S ALL A SCAM. P.S. 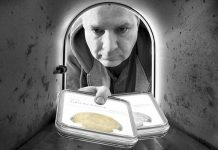 XXXX XXXXX THE LARGEST PONZI SCHEME COMMUNIST FRAUDULENT COIN PEDDLER IN THE UNIVERSE – I SEE MY COMMENTS ARE AWAITING MODERATION OTHERWISE KNOW AS MODERN DAY CENSORSHIP. You are making yourself look like an idiot. If you have something serious to say, that is fine, but save all the other crap, It is not welcome here. I have several Ike’s with errors and would like to know their values. I have searched for weeks and cannot find them anywhere. I contacted the Ike Group, but have yet to receive a response. Any help from you would be greatly appreciated. Sorry for the delay. The 1971-S Peg Leg is fairly typical- as are DDOs on proofs. The person I’d go for for verification on what you’ve got is a man named Tom Kalantzis. The Ike Group really doesn’t focus on DDOs, per se. Also, in case anyone reads this. Senza’s comments aren’t true about Ike bags. They are not easy to find. I know Ike collectors willing to pay double or triple face value for unopened bags knowing that 95-98% of the coins won’t be worth much more than face due to their condition. If these bags were so plentiful, why aren’t they available. If they were really in touch with the industry, they’d know this. 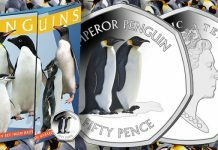 Call any big coin wholesaler and ask to buy five or ten bags- they won’t have them. I have a Bicentennial Eisenhower dollar, type 2 with no mint mark, is this typical? 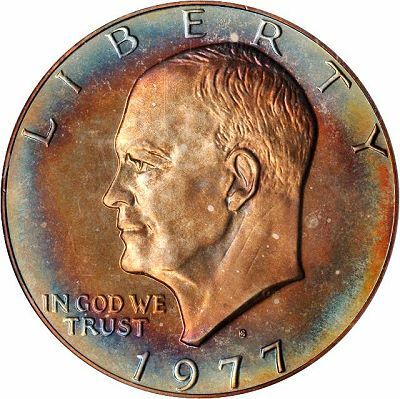 Philadelphia did not affix mint marks to the Eisenhower dollars it struck. First, thank you for such a thoughtful, well-organized and presented, and might I say, badly-needed review of the Ike series. I have a complete set of Ikes. All of my coins were purchased by mail as my small town has no coin shop/shows. I notice that even coins listed as “Choice – BU” seem to lack luster. Many (business strike issues) appear to have what appears to be “a film” on them. I have even tried to replace some issues from other sources and many seem to have similar problems. 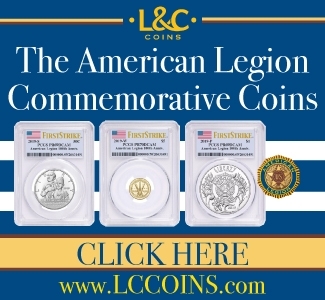 Is there something about this series that the coins frequently lack “eye appeal?” Thanks for your help. There are attractive business strike Ike dollars out there. The key to the series is to be patient and have a reasonable goal for your level of interest. You can have a $150 Ike set or a $150,000 one. Just know that there are nice coins out there in every series, including the biggest of the clads. Thanks so much for your quick reply. From your answer it sounds as though my perception of common BU, and Choice BU Ike dollars are not frequently unattractive. I appreciate your view and of course there are exceptional coins in every series. My experience is that the commonly available Ike dollars I’ve seen are of very average – poor eye appeal. It seems as though that should be a significant criterion in the establishing of market values as well. Apparently all MS63 coins are not equal. I know that grade is subjective, but The Redbook would have you believe that there is a continuity within a grade to establish a market base. This is not the reality. There is a graphic difference between a $150 Ike collection and a $150,000 Ike collection. That distinction is not covered in The Redbook which leads one to believe if you have the $150.00 collection you probably paid too much. I appreciate your time on my issue but I gotta say “I just don’t don’t get it.” Other series don’t have an abundance of ugly coins graded BU or better (Kennedy halfs, ATB Quarters, even Roosevelt dimes). When you buy BU issues of other series they are usually bright and shiny. My experience with the Ike dollar series is that is not the case. Maybe I’m just unlucky. Clad coins are much more inconsistent in terms of luster and the Ike dollar was a huge coin struck with World War II era technology. Because of this, many of the coins were just born ugly. 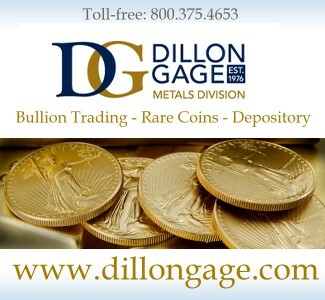 There are parallels in the federal coin series- take gold from Charlotte and Dahlonega, for instance. 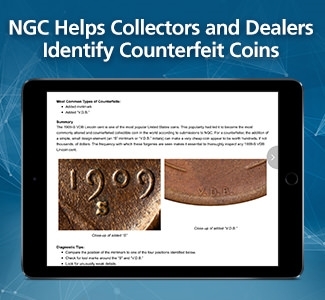 With coins struck after 1964, the lack of attention and care for them amongst dealers and collectors has created a situation where prices are fluid. You could find a buyer for a top pop $15,000 Ike dollar, or you might not. With classics, you have a thicker market to work with. Yet another article exaggerating the merits of a coin or series the author likes. 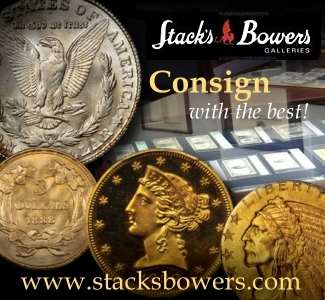 The type is worth collecting whether individually or as a series but that’s equally true of any coin. 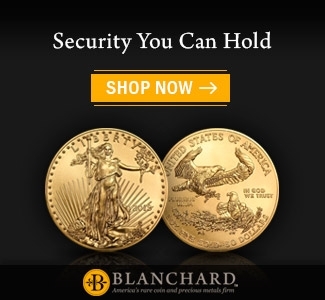 There is also nothing significant about the scarcity of any coin in higher quality, since practically every coin ever struck is “scarce” in some quality.